Video games have their myths – some pretty dark, others rather fascinating. Some probably fake, others confirmed to be 100% true. Here's part three of our journey through the creepy. Urban legends, the myths of today – whatever you wish to call them, humans have always had a propensity for unexplainable stories. Those who enjoy being afraid are constantly on the lookout for such tales, which they eagerly share with others. Like Chinese whispers, the stories get blurrier every time they’re recounted, losing some details and gaining new ones in the process. Decades later, it’s hard to tell what’s true and what’s just a figment of somebody’s imagination. However, there’s no shortage of amateur detectives, who eagerly devote their time to verifying urban legends – with different outcomes. But sometimes they do succeed, managing to prove that the stories that only a few people believe, actually did take place. The video game industry is also full of mysteries – some of them dark and disturbing, others fascinating. Some probably invented by people with too much time on their hands, others confirmed as entirely true. We've been posting here some of the most interesting legends and creepypastas. 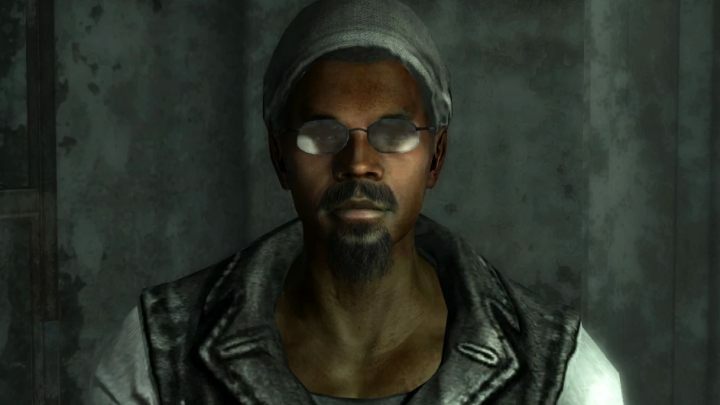 Fallout 3 is an enormous game hiding countless secrets. One of the most bizarre ones is the Galaxy News Radio secret. You sure remember the charismatic DJ, Three Dog. It's my guess that not many people tried doing that, but he can be actually killed in the game. If the player does that, Three Dog's job is taken by a boring assistant. Combining the murder of Three Dog with a bunch of other actions makes Three Dog come back behind the microphone... although with a totally different approach. It is not entirely clear which variables have to be fulfilled in order to activate this secret – some players have seen it, while others weren't as successful. However, several actions are always required. Certainly, you have to kill Three Dogs and skip the quest associated with the radio station, during which we broaden the range of the station. We must also destroy Raven Rock. 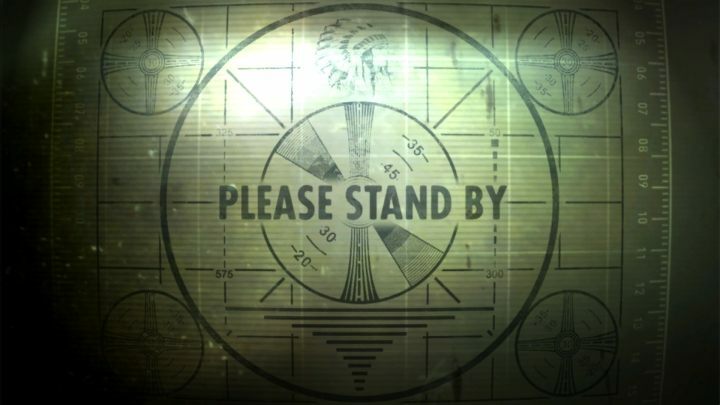 After doing these things (and fulfilling some other, unspecified steps), the game shows the "Radio Signal Lost" message, and "Radio Signal Found" immediately after that; this is when Three Dog is back. Then, if you get to a spot high enough to catch signal, you will hear the man reading a series of numbers in an emotionless, nearly depressive manner. These are always strings of nine to twelve digits at a time. After each set, you can hear a signal in the Morse code, and then the song "I Don’t Want to Set the World on Fire." It took much effort, but eventually, one of the players managed to decode the numbers as well. He discovered the string of digits emitted along the message saying "What are you talking about? You'll be missed" – 1, 2, 0, 5, 5, 2, 8, 2, 0, 1, 0 – stood for the day of Gary Coleman's death. Which doesn't seem particularly odd, until you realize that the actor has died after the game was released. Knowing the key, the players started attempting to match the dates of the other messages. Some of them signified past events, such as the murder of Abraham Lincoln, but others concerned future events, such as... Britney getting an Oscar in 2023. In many cases, as we arrived at the dates from the messages, it would turn out that real situations actually matched the game's predictions. I can't believe they've actually done it. Not long left. They were warned, but they just had to keep pushing the boundaries of science. The noise. I can't take the noise anymore. And the light, dear God! The Universe is slowly unraveling around us. I'm not going to wait for death. I have a pistol in the attic." The 80s were the arcade's golden age, bringing together the contemporary youth. Arcade spots were, however, often associated with more problematic groups of kids, who regularly experimented with illegal substances and didn't really bother obeying the law. One place stood out from this rather unbecoming set – the Friar Tuck Game Room in Calumen, Illinois. The business, ran by Mr. and Mrs. Blankley, was characteristic for its medieval-style interior design and a very friendly atmosphere, which brought many parents with their kids during the summer afternoons. Which just makes the events that took place there all the more shocking. 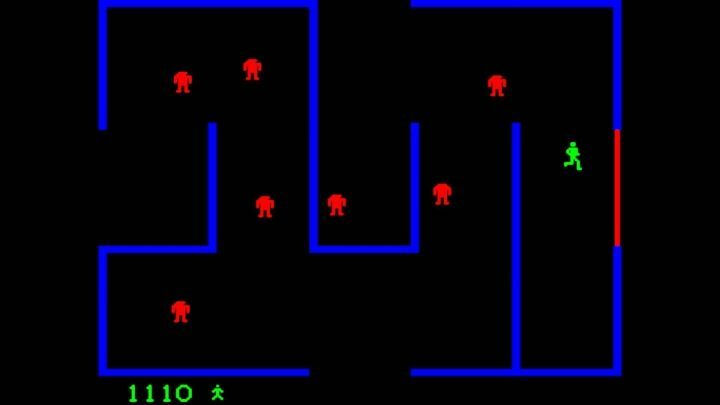 At the beginning of the decade, Bezerk was one of the most popular arcade titles – it was a pretty simple game, where you controlled a green dude, eliminating dozens of enemies and blasting through the game's maze of rooms, trying to get the highest score possible. Of course, Friar Tuck also had one of these machines available in their room – a popular game and all; everyone wanted to play... The kid's name was Peter Bukowski, and the thing happened on 3 April, 1982. Peter was a nice guy, eighteen years old, not causing serious problems, staying in good shape. On this chilly and, of course, windy spring day, Peter walked a good few miles, first visiting his girlfriend, then going back home, visiting his mate afterwards, and finally going with him to the game room. By the time they did that, the Sun had already set, and the long, dusky and cold April evening begun. On their way to the Friar's, Bukowski complained about having trouble breathing in, and feeling very thirsty – hence, they went to a store to get something to drink. That didn't help a whole lot, but when the guys finally reached their destination and started playing, the games allowed them to forget about Peter's unexpected condition. He played two rounds, which might have taken fifteen, maybe twenty minutes. With every game, he managed to score pretty high. After the second game, he wrote his initials on the scoreboard and left the machine right after that. After making a few steps, he just collapsed, unconscious. Despite immediate help from the owner and a prompt arrival of an ambulance, Bukowski died on the way to the hospital. The autopsy revealed something surprising – his heart was covered in scar tissue. The baffling death of the boy who was seemingly fit as a fiddle and was apparently killed by a video game caused much confusion. 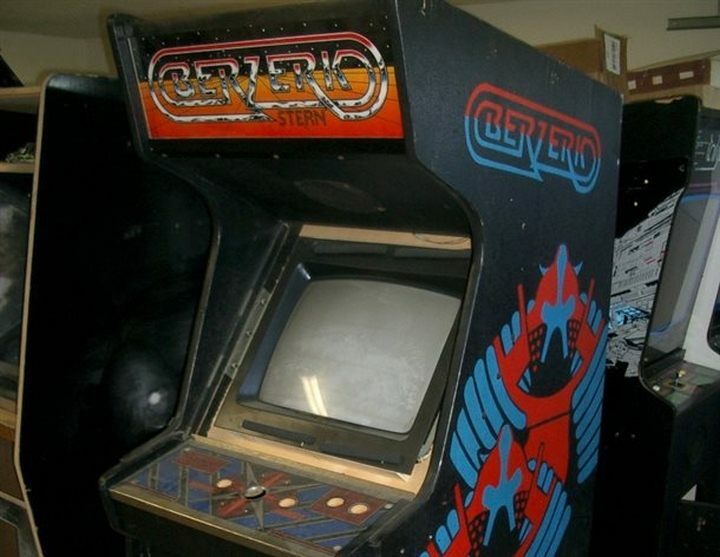 The infamous Berzerk arcade became shrouded in an urban legend, which said that anyone, who puts their initials into the scoreboard, would be met with ill fate, and in some cases – death. Apart from the case of Peter Bukowski, there was also the story of Jeff Dailey, a nineteen year-old kid from Virginia, who played the game relentlessly for a few hours in January 1981, until he finally died of a heart attack. When that happened, his score was exactly 16,660 points. That's where the story usually ends – with one officially authenticated and well-documented death, and one that, considering the lack of any concrete information, is probably fabricated. Few people know, however, that this story actually has the third act as well. It took place seven years after Bukowski's death, and – believe it or not – happened at exactly the same spot, in the pro-family Friar Tuck game room, at the Berzerk arcade booth. On an unusually warm March night of 1988, the seventeen years-old Edward Clark Jr. along with a group of friends, decided to spend some time playing games. Edward's morality wasn't impeccable, as he had already committed over half a dozen minor offenses. He played some Battlezone first, and then stopped at the machine that had allegedly killed Bukowski seven years earlier. Clark spotted a few unattended quarters lying next to the machine – his inheritent thriftiness compelled him to take good care of them; he used one to boot up a game of Berzerk. Just a few moments after that appears the owner of the money and demands Clark Jr. to return the few cents he had just seized. Demanding satisfaction was Pedro Roberts, a notorious sixteen-year-old, whom you'd better not piss off. The boys engaged in a rather brutal fistfight, which was interrupted by one of the employees, who kicked out Roberts first, waited ten minutes, and only then allowed Clark to get out as well – advising him not to follow the route taken by his adversary and his gang. Clark, expectedly, didn't listen, assembled his own party instead and set off to find Pedro. A grave mistake, as it turned out, because that was exactly what Roberts was waiting for – he ambushed Edward in a back alley and stabbed him repeatedly with a knife. Clark, for whatever reason, decided the wounds aren't serious enough and rejected going to a hospital, which was just another fatal decision. Before his friends had decided that things are really bad and that Clark needs immediate medical attention, it was already too late. He could not be saved. He was killed over a few cents and the right to play a game – the same one that had already gained a killer fame. Pokemon is not only a wildly popular franchise of games, cartoons and toys – it's also the object of quite broad criticism from different sides, starting from ludicrous accusations of promoting Satanism, and ending at opinions, which state that it's not a cartoon/game for children. While many of these arguments are admittedly rather feeble, you cannot ignore the amount of rumors and unconfirmed tales surrounding the franchise created by Nintendo and Game Freak – some of them blood-curdling. One of such stories says of a confidential inside report by Game Freak that leaked in the summer of 1996, through actions of one of the employees. The report linked Pokemon Red and Pokemon Green, games that had been released a few months earlier, with a wave of suicides of children between seven and twelve years old that had hit Japan at the time. In most cases, the children took their lives hanging themselves or jumping from great heights. The report stated that the one element connecting the deaths was the fact that all of the victims played Pokemon a lot in headphones. Moreover, despite having played the game for many hours (definitely enough to finish it), none of them left a location from around the middle of the game – Lavender Town. 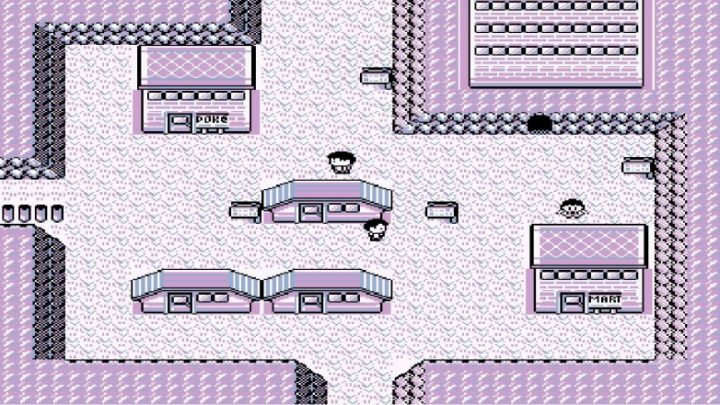 Lavender Town was a unique place compared to the rest of the game. It was characterized by a gloomy atmosphere of a haunted town, which was underlined by eerie music. The song supposedly included high-pitched tones that adults were unable to hear, and which allegedly were able to drastically influence the minds of younger players, causing headaches, faints, nose bleeding, insomnia, temper tantrums or, in extreme cases, a depression leading to suicide. All these symptoms are collectively referred to as the Lavender Town Syndrome. This wasn't due to the authors' bad intentions, as far as we know. When designing the locations, they were simply trying to make it distinguishable against the remaining locations from the game – hence the music that emphasized the dark mood of the place. In order to achieve a desired effect, the sound designers decided to experiment with the pitch of the sounds a bit, accidentally creating those fatal notes during the process. They weren't even aware these existed, since only children – blessed with more acute hearing – were able to register them. While GameBoy's loudspeaker wasn't able to produce such high tones, using regular headphones could lead to tragedy.